PostgreSQL has been a choice for those who are looking for a completely community-driven open source database that is feature-rich and extensible. We have seen tremendously great things happening in PostgreSQL for many years, with 2018 being a prime example. 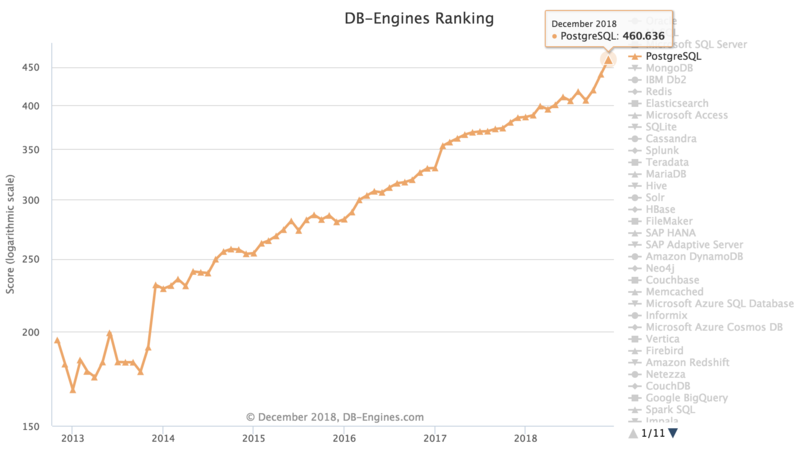 As you could see the following snippet from DB engine rankings, PostgreSQL has topped the chart for growth in popularity in the year 2018 compared to other databases. 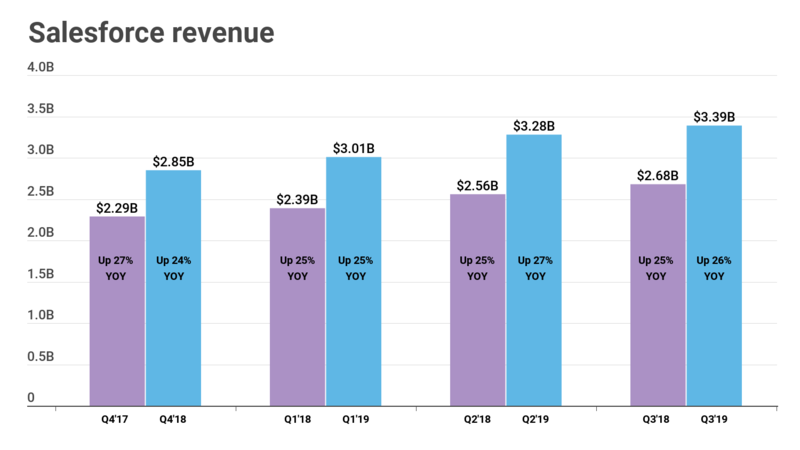 PostgreSQL adoption growth has been increasing year over year, and 2018 has again been one such year as we can see. 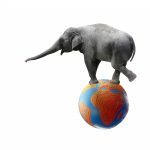 Let’s start with a recap of some of the great PostgreSQL events, and look at what we should take away from 2018 in the PostgreSQL space. PostgreSQL 11 was a release that incorporated a lot of features offered in commercial database software governed by an enterprise license. For example, there are times when you are required to enforce the handling of embedded transactions inside a stored procedure in your application code. There are also times when you wish to partition a table with foreign keys or use hash partitioning. This used to require workarounds. The release of PostgreSQL 11 covers these scenarios. There were many other add-ons as well, such as Just-In-Time compilation, improved query parallelism, partition elimination, etc. You can find out more in our blog post here, or the PostgreSQL 11 release notes (if you have not seen already). Special thanks to everyone involved in such a vibrant PostgreSQL release. 9.3.25 was the last minor release that has happened for PostgreSQL 9.3 (on November 8, 2018). There will be no more minor releases supported by the community for 9.3. If you are still using PostgreSQL 9.3 (or a major earlier release than 9.3), it is the time to start planning to upgrade your database to take advantage of additional features and performance improvements. Watch out for future Percona webinars (dates will be out soon) on PostgreSQL migrations and upgrades that will help handle situations such as downtime and other complexities involved in migrating your partitions built using table inheritance when you migrate from legacy PostgreSQL versions to the latest versions. For minor PostgreSQL release, there was nothing new in what we saw this year compared to previous years. The PostgreSQL community aims for a minor version release for all the supported versions every quarter. However, we may see more minor releases due to critical bug fixes or security fixes. One of such release was done on March 3rd, 2018 for the CVE-2018-1058 security fix. This proves that you do not necessarily need to wait for specific release dates when a security vulnerability has been identified. You may see the fix released as a minor version as soon as the development, review and testing are completed for the fix. There have been five minor releases this year on the following dates. The PostgreSQL Global Development Team and contributors handle security fixes very seriously. There have been several instances where we have received immediate responses after reporting a problem or a bug. Likewise, we have seen many security bug fixes as soon as they have been reported. 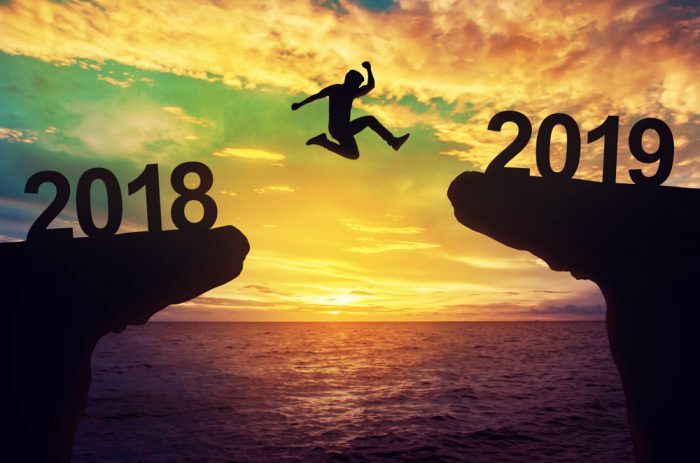 We thank all the Core team, Contributors, Hackers and Users involved in making it another great year for PostgreSQL and a huge WIN for the open source world. 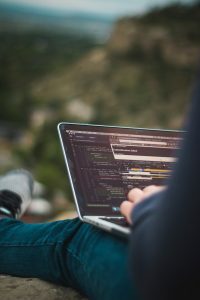 If you would like to participate in sharing your PostgreSQL knowledge to a wider audience, or if you have got a great topic that you would like to talk about, please submit your proposal to one of the world’s biggest open source conferences: Percona Live Open Source Database Conference 2019 in Austin, Texas from May 28-30, 2019. The Call for Papers is open until Jan 20, 2019. You can also submit blog articles to our Open Source Database Community Blog for publishing to a wider open source database audience. Please subscribe to our blog posts to hear many more great things that are happening in the PostgreSQL space. 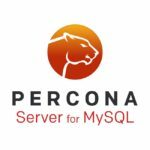 Percona has released Percona Server for MySQL 8.0 as Generally Available (GA). Our Percona Server for MySQL 8.0 software is the company’s free, enhanced, drop-in replacement for MySQL Community Edition. Percona Server for MySQL 8.0 includes all of the great features in MySQL Community Edition 8.0. It also includes enterprise-class features from Percona made available free and open source. Percona Server for MySQL is trusted by thousands of enterprises to meet their need for a mature, proven, cost-effective MySQL solution that delivers excellent performance and reliability. Downloads are available on the Percona Website and in the Percona Software Repositories. Percona Server for MySQL 8.0 includes all of the features available in MySQL 8.0 Community Edition in addition to enterprise-grade features developed by Percona for the community. MySQL Document Store—Combining NoSQL functionality within the X API along with JSON enhancements such as new operators and functions enables developers to use MySQL 8.0 for non-relational data storage without the need for a separate NoSQL database. Stronger SQL—With the addition of Window Functions, Common Table Expressions, Unicode safe Regular Expressions, and other improvements MySQL 8.0 provide broader support for the range of SQL standard functionality. Transactional Data Dictionary—Enables atomic and crash-safe DDL operations, enhancing reliability, and eliminating the need for metadata files. Security—SQL Roles, SHA2 default authentication, fine-grained privileges, and other enhancements make MySQL 8.0 more secure and adaptable to your organization’s compliance needs. Geospatial—New SRS aware spatial data types, spatial indexes, and spatial functions, enabling the use of MySQL 8.0 for complex GIS use-cases. Audit Logging Plugin: Provides monitoring and logging of database activity to assist organizations in meeting their compliance objectives. This feature is comparable to MySQL Enterprise Auditing. PAM-based Authentication Plugin: Assists enterprises in integrating Percona Server for MySQL with their single sign-on (SSO) and two-factor authentication (2FA) systems by integrating with standard PAM modules. This feature is comparable to MySQL Enterprise Authentication. Enhanced Encryption: Improves upon Transparent Data Encryption (TDE) present in MySQL Community Edition. Enhanced encryption adds support for binary log encryption, temporary file encryption, encryption support for all InnoDB tablespace types and logs, encryption of the parallel doublewrite buffer, key rotation, and support for centralized key management using Hashicorp Vault. Please Note: Some of the encryption features are still considered experimental and are not yet suitable for production use. These features together are comparable to MySQL Enterprise TDE. Threadpool: Supporting 10000+ connections, this feature provides significant performance benefits under heavy load. This feature is comparable to MySQL Enterprise Scalability. MyRocks Storage Engine: Based on the RocksDB storage library, MyRocks brings MySQL into the 21st century by being optimized for modern hardware such as nVME SSDs. Utilizing strong compression, MyRocks reduces write-amplification and storage requirements on SSDs compared to InnoDB to lower TCO and increase ROI when working with large datasets. Improved throughput consistency compared to InnoDB enables scaling cloud resources for your databases more strategically. Improved Instrumentation: Percona Server for MySQL 8.0 offers more than double the available performance and stats counters compared to MySQL Community Edition, as well as support for gathering per-user and per-thread statistics, and extended slow query logging capabilities. Together with free tools like Percona Monitoring and Management these enhancements enable your DBAs to troubleshoot issues faster and effectively improve your application performance. Reduced Backup Impact: Lighter weight Backup Locking reduces the impact to performance and availability of performing backups. This feature makes your backups run faster and your applications perform better during long-running backups when used together with Percona XtraBackup 8.0. Some features were not ported forward from Percona Server for MySQL 5.7 to Percona Server for MySQL 8.0. Features which are unused, have something comparable included upstream, or are no longer relevant in this major release have been removed. For more information see our documentation. TokuDB Storage Engine: TokuDB will be supported throughout the Percona Server for MySQL 8.0 release series, but will not be available in the next major release. Percona encourages TokuDB users to explore the MyRocks Storage Engine which provides similar benefits for the majority of workloads and has better optimized support for modern hardware. This article will walk you through using the SASL library to allow your Percona Server for MongoDB instance to authenticate with your company’s Active Directory server. Percona Server for MongoDB includes enterprise level features, such as LDAP authentication, audit logging and with the 3.6.8 release a beta version of data encryption at rest, all in its open source offering. You have an Active Directory server up and running and that it is accessible to the server that you have Percona Server for MongoDB installed on. These machines are installed behind a firewall as the communications between the two servers will be in plain text. This is due the fact that we can only use the SASL mechanism of PLAIN when authenticating and credentials will be sent in plain text. You have sudo privilege on the server you are going to install Percona Server for MongoDB on. The first thing you are going to need to do is to install the Percona Server for MongoDB package. You can get this in a couple of different ways. You can either install from the Percona repositories, or you can download the packages and install them manually. Once you have Percona Server for MongoDB installed, we want to start the mongod service and make sure it is set to run on restart. Now that the service is up and running, we want to open the mongo shell and add a database administrator user. This user will be authenticated inside of the MongoDB server itself and will not have any interactions with the Active Directory server. 2018-12-11T17:48:48.197+0000 I CONTROL [initandlisten] ** WARNING: Access control is not enabled for the database. 2018-12-11T17:48:48.197+0000 I CONTROL [initandlisten] **          Read and write access to data and configuration is unrestricted. 2018-12-11T17:48:48.197+0000 I CONTROL [initandlisten] **          You can use percona-server-mongodb-enable-auth.sh to fix it. Notice the second warning that access control is not enabled for the database. Percona Server for MongoDB comes with a script that you can run that will enable authentication for you, but we can also do this manually. We will go ahead and manually add a user in MongoDB that has the root role assigned to it. This user will have permission to do anything on the server, so you will want to make sure to keep the password safe. You will also not want to use this user for doing your day to day work inside of MongoDB. Notice that we have two mechanisms set up for authentication. The first one, PLAIN, is used for authenticating with Active Directory. The second one, SCRAM-SHA-1 is used for internal authentication inside of MongoDB. Now if you were to run the mongo shell again, you wouldn’t see the access control warning any more, and you would need to log in as your new user to be able to run any commands. If you are successful you will get a return value of 1. If authentication fails, you will get a return value of 0. Failure is generally due to a mistyped username or password, but you could also be trying to authenticate in the wrong database. In MongoDB you must be in the database that the user was created in before trying to authenticate. Now that we’ve logged in as the admin user, we will add a document that will be used to verify that our Active Directory based user can successfully access the data at the end of this post. Now that we have a Percona Server for MongoDB instance set up and it is secured, we need to add some packages that will allow us to communicate properly with the Active Directory server. Next we need to update the SASL configuration to use LDAP instead of PAM, which is the default. To do this we need to edit the file /etc/sysconfig/saslauthd, remembering to backup up your original file first. Now that we’ve got SASL set up, we can start the saslauthd process and set it to run on restart. Next we need to allow the mongod process to write to the saslauthd mux socket and change the permissions on the owning directory to 755 so MongoDB can write to it. This is the default on RedHat, but not for Ubuntu. The SASL installation provides us with a tool to test that our Active Directory users can be logged in from this machine. Let’s go ahead and test to see if we can authenticate with our Active Directory user. You should see 0: OK "Success." if authentication worked. To allow MongoDB to use SASL to communicate with Active Direcory, we need to create a configuration file. As you can see from the above, when we create the user that will be authenticated with Active Directory, we need to be in the special $external database and we don’t supply a password as we would when we create a MongoDB authenticated user. As you can see above our Active Directory based user was able to authenticate and then change over to the percona database and see the document we stored earlier. You will notice that our auth() call above is different than the one we used to log in with MongoDB based users. In this case we need to pass in a document with not only the user and password, but also the mechanism to use. We also want to set digestPassword to false. We place the --password option at the end of the command line and do not provide a password here. This will cause the application to prompt us for a password. You will also automatically be placed into the percona database, or whatever database name you provide after mongo. You need to escape the $external database name with a backslash (\) or the terminal will treat $external as an environment variable and you will most likely get an error. In conclusion, it is easy to connection your Percona Server for MongoDB instance to your corporate Active Directory server. This allows your MongoDB users to use the same credentials to log into MongoDB as they do their corporate email and workstation.